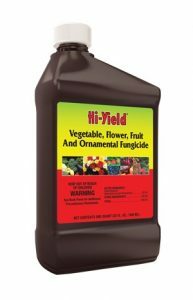 PRODUCT DESCRIPTION: Concentrated fungicide using Chlorothalonil as the active ingredient which is good for just about any type of fungus. It is easy to work with and has several rates of application. The most important thing to do when applying it is to get proper coverage using the right amount. The second most important thing to do is be sure and followup with at least one more application. It is not uncommon to need and treat several times throughout the year depending on seasonal weather conditions. WHERE TO USE IT: Gardens, shrubs, trees, etc. Anywhere around the home where you have plants susceptible to fungus. 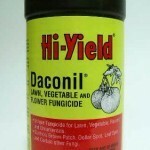 RATE OF APPLICATION: This will vary on what you're treating but it will range from 1/2 to 2 oz per gallon of water. In general, treatments will need to be made once every 1-2 weeks but again, this will vary depending on the plant.